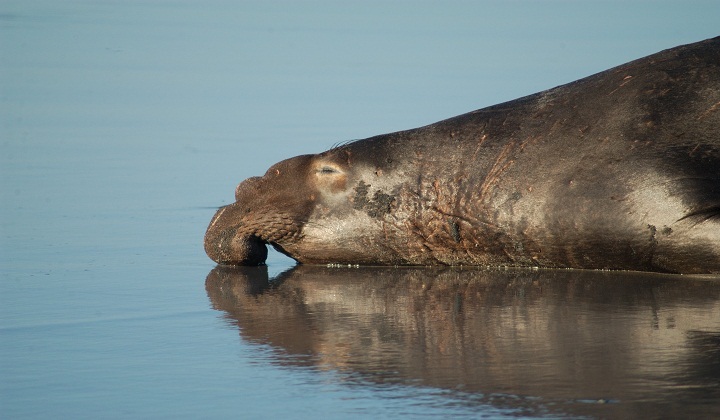 Scientists have used a group of elephant seals to observe changes in the circulation of the world’s oceans reveals a recent research.The international researchers led by the University of Tasmania’s Dr. Guy Williams, used sensors attached to 20 elephant seals to measure water temperature and salinity in the Antarctica, Xinhua news agency reported. The research showed how “bottom water” – a dense type of water created by salt leaching out of sea water when it freezes over during the Antarctic winter is being affected by melting ice shelves. If you think of a conveyor belt, (bottom water) is really the gear that drives the engine that is pumping that circulation, he said. The data collected, published in the journal Nature Communications, suggested that global warming could affect the production of bottom water, and change the circulation of oceans across the world. Changes in the production of bottom water would also impact Antarctic sea life that relies on the nutrients and gases in the water to survive. “It’s not just the speed of circulation, but it’s the depth of change,” Williams said. “So the conveyor belt continues but it operates at a shallower level,” he added. Researchers identified Prydz Bay and Cape Darnley in East Antarctica as the ideal spots to study the changes due to the three polynyas – open areas of water surrounded by sea ice – and two ice shelves in the area. Between 2011 and 2013 the research team captured data from 20 elephant seals, having previously encountered difficulties when capturing data from just one seal, between March and October. “We’ve never really been able to get such amazing spatial and temporal coverage before,” Williams said. “That’s a period of time where we would never get down with a ship. The last time we were there in a winter time … was 1999,” he said. Williams said more research is needed to properly understand ocean circulation. “To get models (of ocean circulation) right, they’ll have to consider this combination of processes not just the polynya but the polynya and ice shelves,” he said. “But it’s opportunistic. We can’t control where the seals go,” he added.